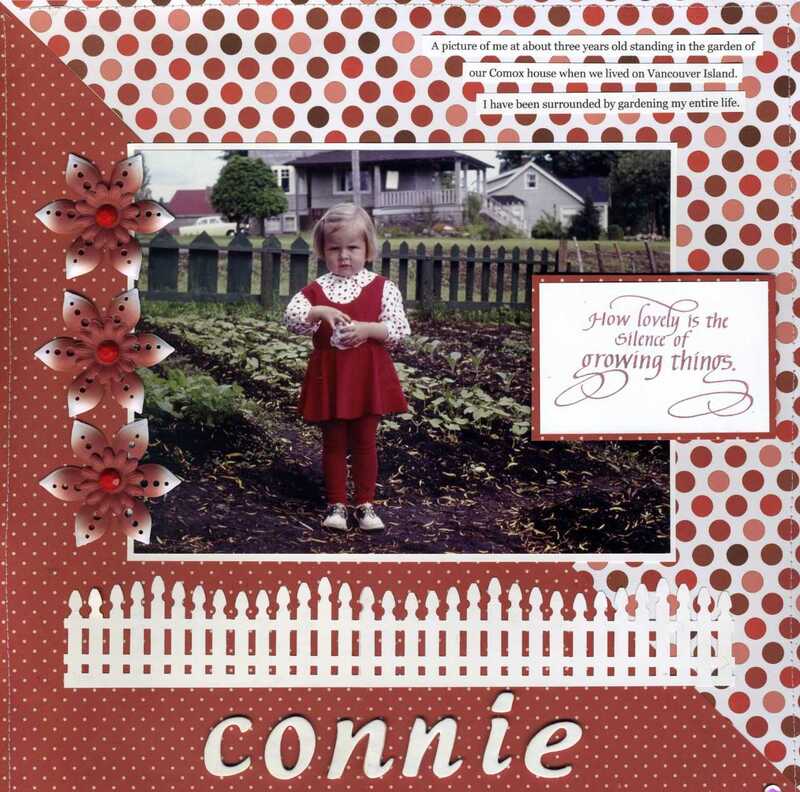 Hello, Connie Nichol here today with a scrapbook layout featuring one of my favourite Quietfire Design stamps. 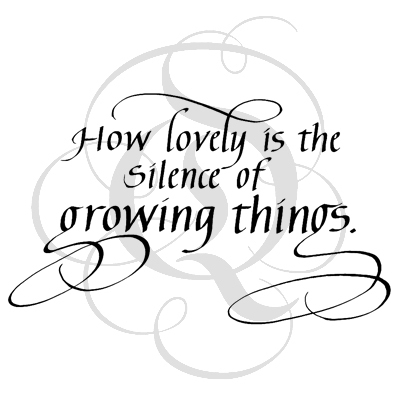 This is such a great stamp to accent gardening and flower photos, but also good for layouts of growing children. The photo is of me when I was a little girl, circa 1964. It was scanned from a 35 mm slide, and then I printed it as an enlargement. For a single feature photograph like this, I like to keep the scrapbook layout simple and not distract the eye away from the photo. Just take two pieces of coordinated pattern paper and cut them diagonally. Stamp the growing things in a matching ink and mount with foam adhesive to pop it up slightly from the page. I looked like that in 1964, too! Adorable layout and a perfect stamp to go along. You sure were a little cutie! thank you so much Mary O-K. I apparently was also a very unsmiling little girl too, every photo I can find has a very serious expression. thanks Jean, I love scrapbooking with the Quietfire stamps!